Parlux offers a wide range of professional hairdryers that meet the standards of the most demanding hairdressers. The brand&apos;s dryers are made with the highest-quality, most modern materials. 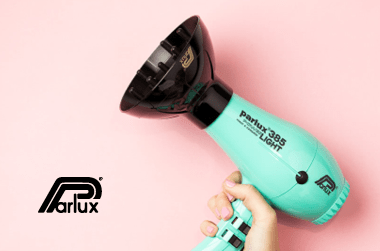 Once you have used a Parlux, you will never go back to anything else! Really happy with my Parlux purchase. It’s so much faster than my old dryer and doesn’t fry/frizz out hair. I have 2 young daughters and it’s great for drying their hair as it’s fast and has adjustable heat settings.